It’s that time of the year again when we put away our cute ankle boots and bust out our summer sandals. Can you guys believe it’s June already?! When I’m looking for sandals in the summer, I’m looking for trendy styles, affordable prices & comfort. I can honestly say that some of the sandals from Target, J.Crew Factory and H&M are some of the comfiest sandals I own. Of course I love to splurge every now and again at Nordstrom but you know me, I like to shop! If you followed me along on my Europe trip via Instagram, you know that these pairs, here & here were such good purchases. 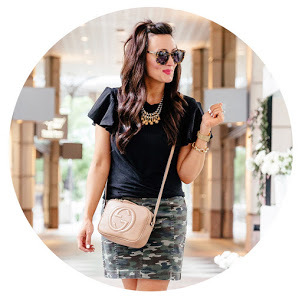 Trendy, comfortable, matched with everything I brought, and under $25 each. 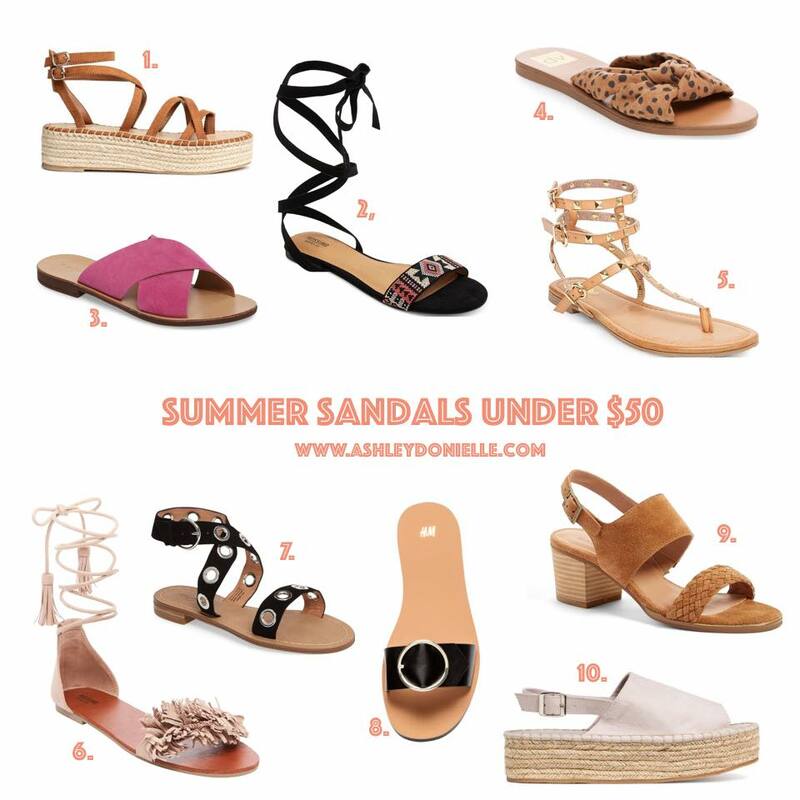 I’ve been on the hunt to find some other cute summer sandals so I thought I would share my finds with all of you! I’m currently wearing this tassel pair on our flight to Kauai and I absolutely love them. (I sometimes find it hard to find the perfect white summer sandal – these are the closest I’ve found so far!) I recently bought these leopard slides and have already received a ton of compliments on them every time I wear them so far. Who doesn’t love all things leopard?! (I recommend sizing up a 1/2 size). I already have a pair of saddle color espadrille platforms but if I didn’t, I’d be buying these ones. They are almost identical and under $30! I’m also loving the colorful tribal print on these sandals and the pom pom fringe on these lace up sandals is super on trend right now. My point? You don’t have to spend over $100 to find a cute, trendy and comfortable sandal. The options are endless!